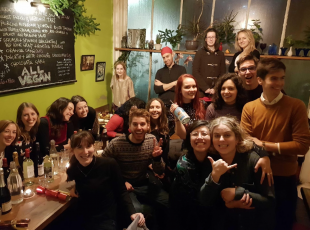 Blog posted by: Jack Collier, 27 February 2019 – Categories: Design, Digital skills, Our services, User centred policy design. Since 2016 I have been doing my dream job – working with policy officials to build policy in a user-centred way. In fact, I’d been desperate to do this job since working in a policy role in Climate Change. The job of a policy maker is hard - How do you design for people when you have so many hoops to jump through? You must consider almost every risk - is the policy likely to have a disproportionate impact on one demographic? Is the policy likely to lead to economic growth? Is the policy going to be challenged in the courts? That’s why I’m really proud that the MOJ took the first step to answer the important question ‘how is the policy going to impact the people it’s aimed at?’ by setting up the first in-house ‘policy lab’. The User-Centred Policy Design team was born. Since 2016, we’ve grown from 3 people to 23. This reflects the importance placed on ensuring policy officials have access to the right skills when formulating, implementing and evaluating policy. I’m now leaving this job in the MOJ, which is a great opportunity for someone new to take over. I’d really encourage anyone who has experience in digital and policy roles, can call themselves a leader and wants to lead change in government to apply. Naturally then, I’m feeling pretty nostalgic, so I wanted to reflect on the things we’ve achieved since starting the function. Lots of people have been talking about the value of UCD in policy making in recent years, which is incredibly exciting. However, not that many people have had a chance to ground theory in reality. In two years, the team have worked on 31 different policy challenges, ranging from separating parents to people in prison. They’ve worked on 6 major public strategies and they’ve run at least one event per month to encourage working in the open. 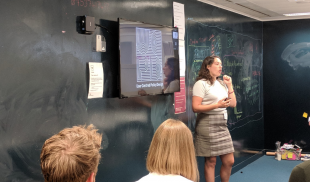 As a result, we’ve grounded policy in the reality of people’s lived experience, we’ve helped avoid committing to untested solutions, and we’ve supported teams to understand how digital can help them achieve their policy aims. This experience has helped to accelerate the evidence and theory behind UCD in policy making. Watch this video to hear more from MOJ policy makers about the value they get from UCD. By working with a broad cross-section of the department and with lots of different policy teams, lots of people have felt a difference. We now work in a department that explicitly places an emphasis on user-centricity in its policy making principles. Early on we recognised the need to grow in-house user-centred design capability for policy makers. Now the MOJ UCPD team is recognised across the world for being one of the leaders for designing policy, such as in Apolitical’s ‘team of the year’ award. This is great recognition of the high-quality work we’re delivering. 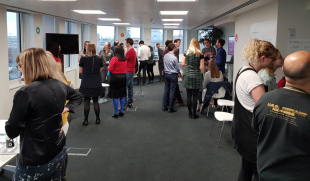 One of the great things we’ve managed to do is generate huge excitement in the civil service graduate programme, the Faststream, for better partnerships between digital and policy. Since 2017, we’ve had 4 faststreamers work on the team. We now regularly support faststreamers who we can’t offer roles to, come in and observe or be involved in our work and we’ve put a huge effort into presenting at conferences or creating bespoke events for them. One thing we need to work on in the future is how we widen the scope of opportunities so it’s not just graduate schemes that benefit. In addition, we need to influence the structure of the scheme itself. To me, it seems counter-productive to have a separate generalist and digital and technology streams when we’re working so hard to bring the two things together! Finally, one of our great legacies is our support of other departments to grow in-house user-centred policy design people. When we started out, there weren’t any other in-house teams doing this. Most department’s relied on the Cabinet Office Policy Lab. Now, there’s fantastic teams operating in Department for Education, Department for Transport, Her Majesty's Revenue and Customs and Department for Work and Pensions. Some of those teams we’ve spent time with to help set up a new team, in others, we’ve supporting by providing evidence and case studies. The team has done an inspiring job over the last couple of years, but of course, challenges remain. Whoever, takes over the role, needs to be willing to push UCD in policy making to the next level. We need user-centricity to be baked in from the start. It’s not an afterthought or an optional extra. We need senior leaders to genuinely champion the benefit of being user-centred from the beginning. At times, this might lead to dramatic consequences, such as considering whether our departments are structured in the right way. Overall, I’m really excited about the future of UCD in government and to be able to do this in my new role.